We hope you've marked your calendar to join in with our Harper sew-along!! Today, we’re talking supplies, so you can gather what you need before we get started on July 6th. 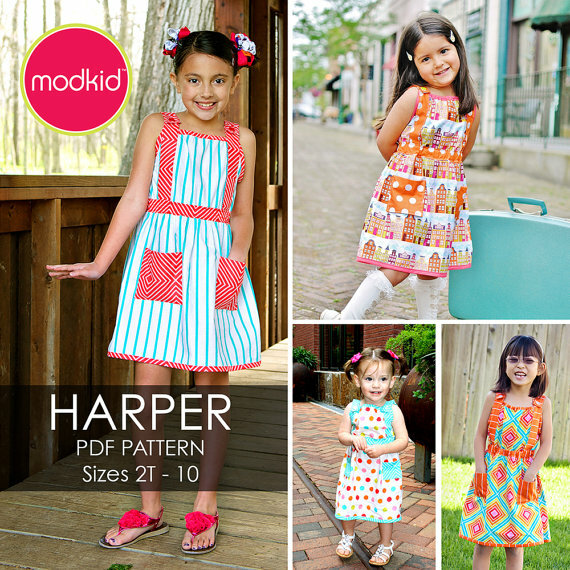 First and foremost, you will need the Harper dress pattern. Remember, coupon code HARPERSAL2015 gets you 30% off your entire order in the Modkid Etsy store. The coupon code expires on Friday, July 3rd at midnight EST. The suggested fabrics include: Woven fabrics such as quilting cottons, shirting, voiles, gauzes, linens, lawns, and muslins. 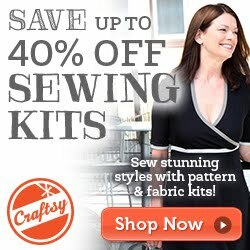 If you are making your own bias tape, you will need an additional 1/2 yard of fabric #2. 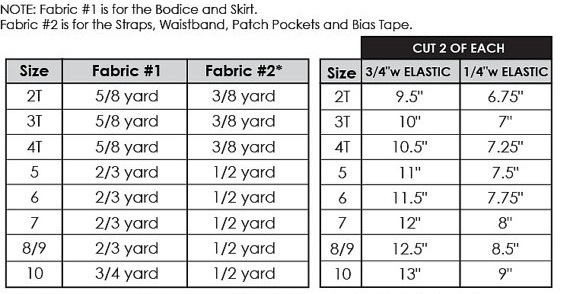 If you are using purchased bias tape, you will need 2 yards for sizes 2T-5 or 2.5 yards for sizes 6-10. In addition, you will need (2) 3/4" diameter buttons for the shoulder straps and elastic as indicated in the chart above. But don't limit yourself to buttons, especially if you hesitate with button holes. Snaps or Velcro would make great options too! 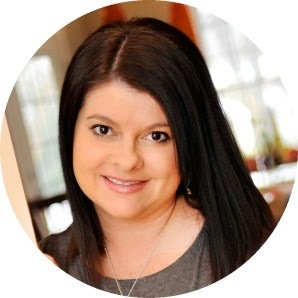 We love seeing your fabric selections, so come share your inspiration in our Facebook group!